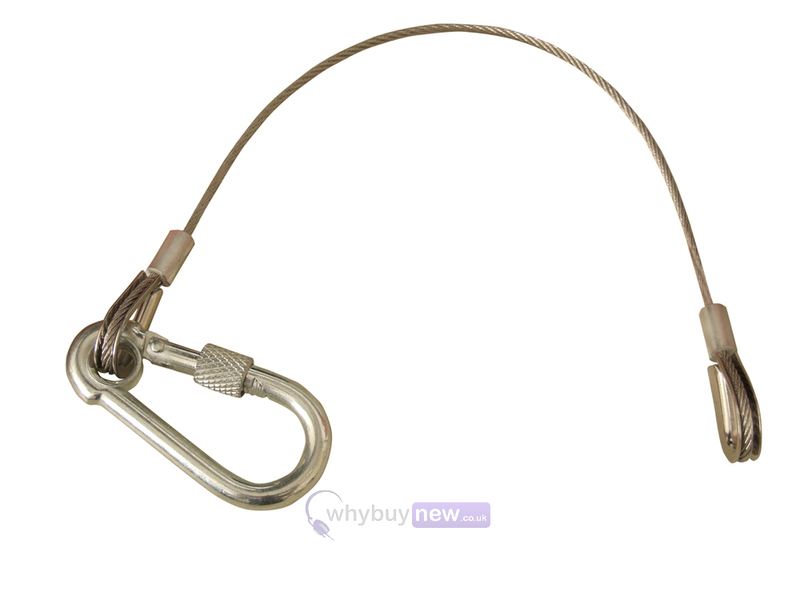 Safety wire for use with secondary hanging points, finished in silver with a maximum load of 75 kg. The safety wire is 800 mm in length and has a diameter of 3 mm. The safety wire features a locking screw nut on the carabiner.